Bodog is a great place to play poker. The Bodog Poker Download takes less than a minute on DSL as the file size is only 11.4 MB. Simply click the “Play Now” button on Bodog’s homepage and follow the instructions and you will be taken to the Bodog Poker Setup Wizard. Click “Next” a few times and the Bodog client will be up and running. Once you are on the Bodog client, simply click the “JOIN NOW” button and you will be taken to the registration page. The registration page is simple and only one page long so getting started is a breeze. Creating a new account is as simple as entering some contact information, creating a username and verifying your e-mail address. You can download, install, and have Bodog running in a matter of minutes. 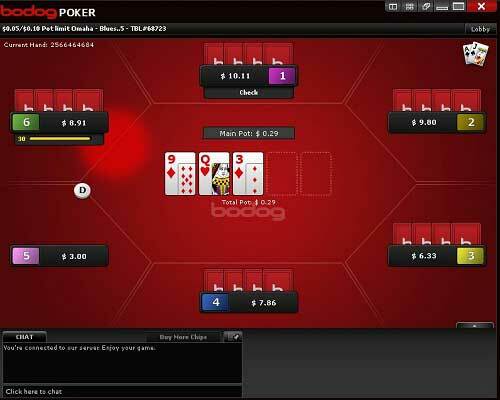 The Bodog Poker Download is currently available in English only, which may limit its traffic. However, Bodog is still one of the top sites of online poker. The software requires Windows 2000 or higher. Unfortunately, Mac and Linux are not supported. All transactions (including your password) are secure and encrypted so that no unauthorized access to your personal information will ever take place. Bodog Poker employs the same encryption method that most online banks use. Their random shuffling is certified and Bodog assures its players that it is impossible for anyone to have any knowledge of the cards to come. Bodog has a great selection of cash games, tournaments, as well as casino games and sports betting. In 2006, Casino Player Magazine ranked Bodog No. 1 for having the best customer service in the online gaming industry. 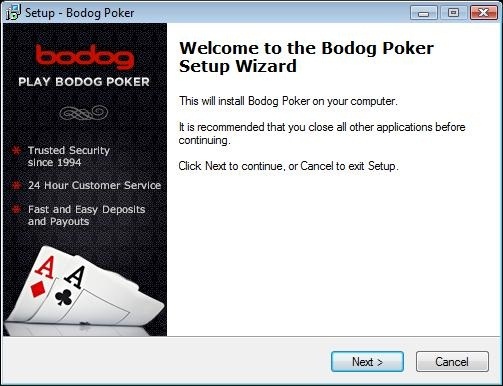 The Bodog Poker download includes the basic poker software, which has many of unique and customizeable features, including – mutli-tabling, resizeable tables, bet sliders, and more. 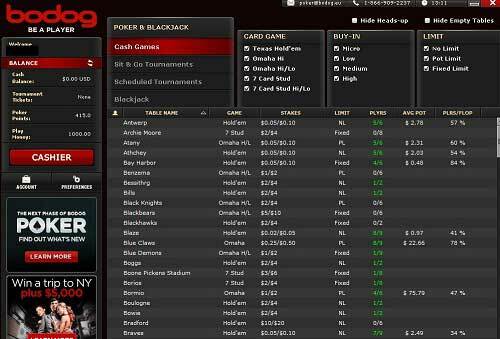 It will be easy to play a few tables at a time without any worry for messing up actions. Download Bodog Poker today and play within minutes!